Lucy May Heel https://www.review-australia.com/asia/lucy-may-heel-black/RE19ACC283.REBLK001.html Extra shiny, shimmery and sleek! the Lucy May Heels in Black are made for you! 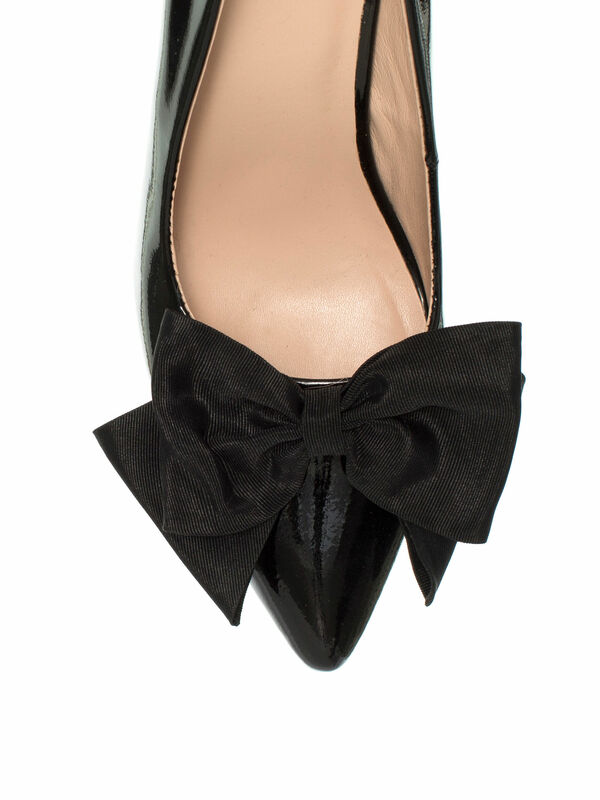 You'll be sashaying through the office or dancing the night away in these pretty bow heels. Let's not forget the Iconic Review pink sole with a metal heart detail.